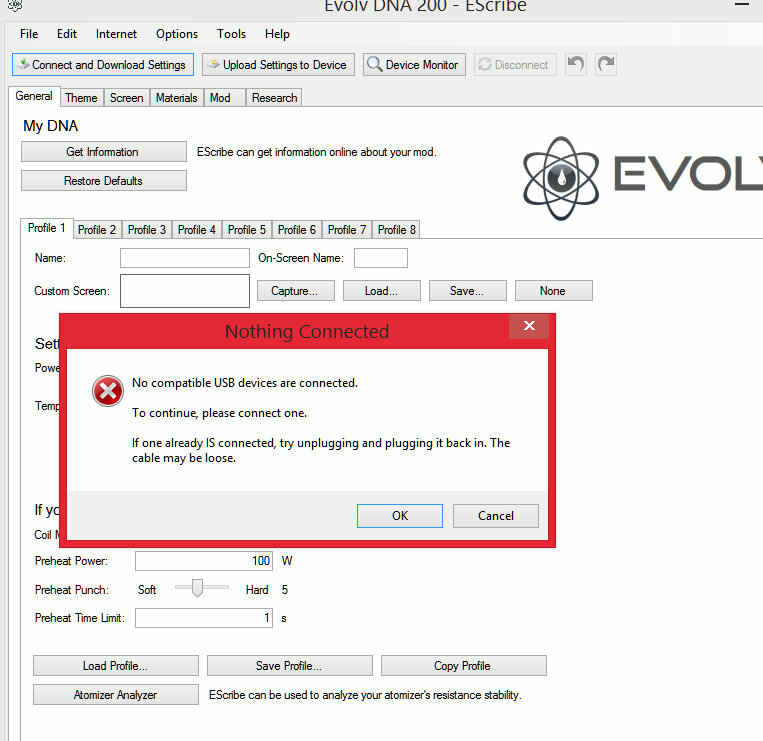 Evolv, Inc > Categories > Software and Firmware > DNA 40 (Vapor shark) can it use escribe??? Yeah I don't think that is going to happen. It could if the firmware was updated maybe (if the hardware was there to support it, which it probably doesn't). But the firmware isn't user upgradeable anyway. As Bill said it is not supported, the DNA 40 came out 9 months before Escribe and the USB only connects to a separate charge board and not the main control board. The DNA75 is coming soon if you like single battery low wattage mods and want Escribe. Op, you can try other metals on your dna40 in temp mode other than ni200, i know for sure Nife30 works in temp mode and am sure other members when online will list other wires for you. OH GOOD GRIEF MIKE DUDE THAT WAS A MONTH AGO, HES PROBLY KILLED IT BY NOW ANYWAY..